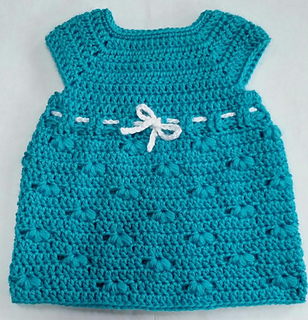 Cute little newborn dress made using Caron Simply Soft. A light weight worsted yarn that comes in many pretty colors. The dress is designed with cute little “puff’s” staggered throughout the pattern to give it a pretty jewelled look. 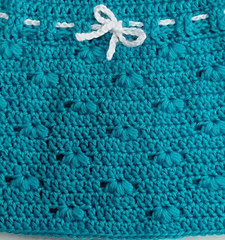 I like that the skirt section of the pattern is not to wide so the fit on a newborn is comfortable and not too bulky. 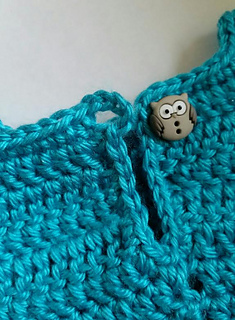 The pattern is fast to work up and starts at the neck down to the bottom without breaking the yarn.